Already the winner of two “Best Film” awards in 2015, Best Cinematography, Best Editing and Best Sound Design in 2016 and nominated for Best Director and Best Science and Education Film at the 2016 Berlin International Filmmaker Festival, Of Shark and Man is Scarlet View Media’s first Feature. Of Shark and Man is not just another shark documentary, combining the factual elements of an incredible untold story, with raw, honest storytelling, Of Shark and Man takes the viewer on a cinematic journey that is both engaging and exciting and one which succeeds in inspiring an audience not usually associated with wildlife films. Should David follow the advice of everyone around him and forget about it, or should he risk everything and against all the odds, take his one chance to fulfil his greatest ambition, an ambition which finds him in the middle of a feeding frenzy with sixty of the world’s most dangerous sharks? “Of Shark and Man” is a ground breaking film about one man’s journey to get closer than anyone thought possible, to the world’s biggest Bull Sharks and tell the incredible untold story of Shark Reef in Fiji, one of the greatest marine conservation successes of all time. 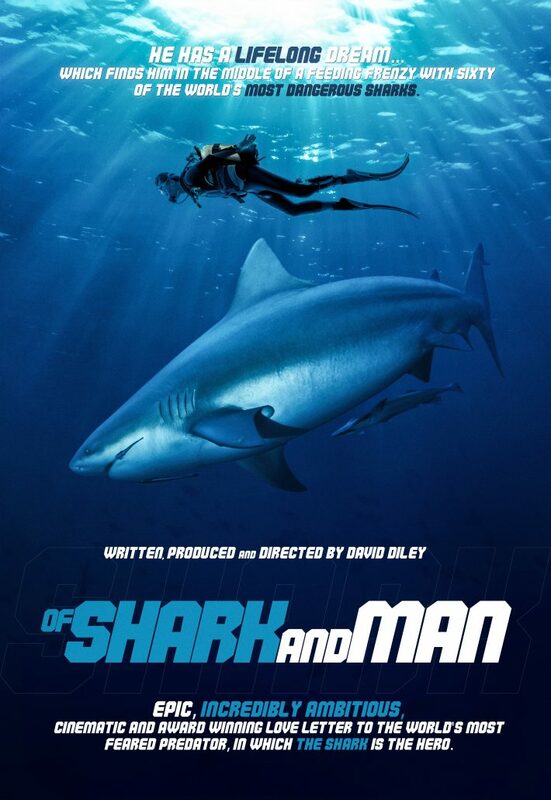 “Of Shark and Man” is an epic, incredibly ambitious, cinematic and award winning love letter to the world’s most feared predator, in which the shark is the hero.